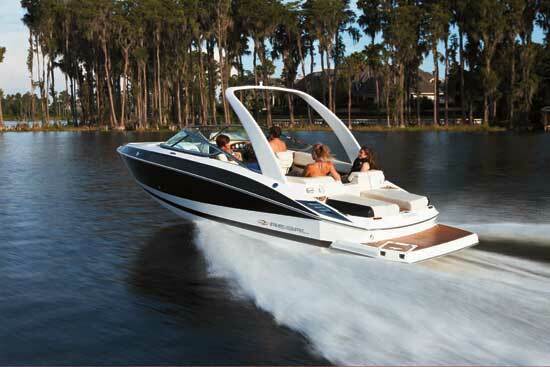 Regal updates one its best boats with modern diesel power and clever cruising features. 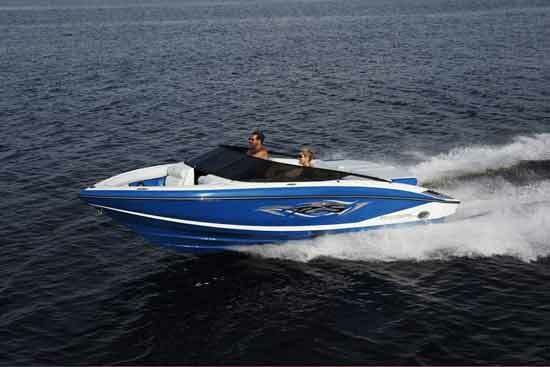 Express cruisers are a category of watercraft that boaters seem to either love, or love to hate. But there’s one thing that’s hard to argue with when it comes to these boats: their owners not only love them, but also use the heck out of them. Don’t believe me? Take a spin through any popular harbor or anchorage and see how many you can count. Express boats don't have to look like a Clorox bottle running across the water. And the Regal 38 Express proves that point very nicely. The truth is that express cruisers can be extremely adaptable cruising platforms when it comes to space, comfort, speediness, and the ability to stand up to weekend after weekend of on-the-water abuse. 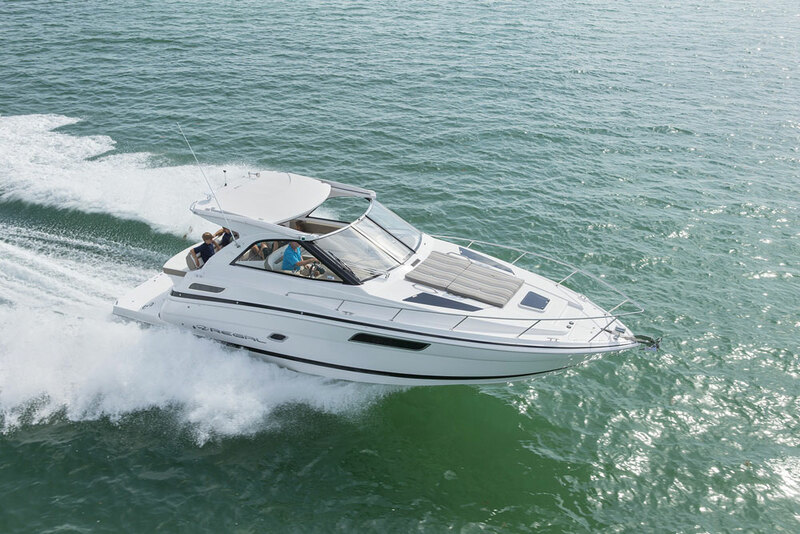 And, if you’re looking for a boating package that has the credentials for this type of fun, the Regal 38 Express is an awfully good place to start. 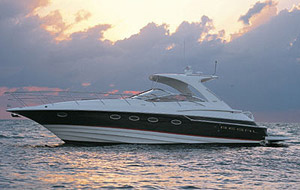 Based on Regal’s popular 3760 Commodore model, the Regal 38 Express was introduced in 2011. In fact, it’s a little difficult to tell the difference between the two models on first glance, as little has changed, as far as exterior looks go. But have a look at power plant choices, and the differences really come into focus. Perhaps most noticeable is the availability of twin 260-horsepower Volvo D4 electronically controlled turbo diesels replete with Duoprop outdrives and joystick positioning control. 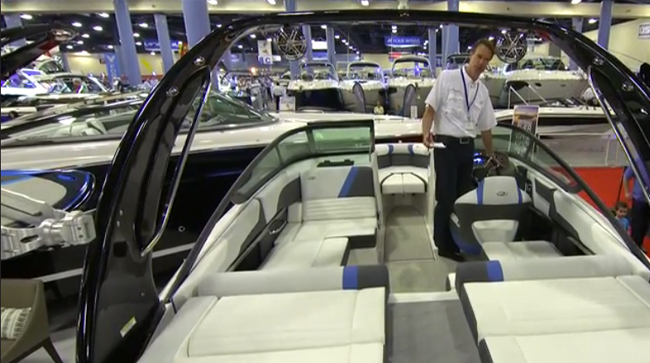 Clean lines give the Regal 38 Express a smart but conservative look. Regal says top end with the twin diesels is around 40 mph, where fuel burn is 26 gallons per hour. Back down into a more reasonable cruise speed at around 25 to 27 mph and only 17 gallons of diesel are sipped from the 262-gallon fuel tank each hour. That nets a theoretical cruise range of around 385 miles, which is impressive, indeed. Other engine options include twin 380-horsepower gasoline engines from Mercury and Volvo, although the Volvo options are the only way you’ll be able to get in on any non-diesel joystick action. On the outside, the 38 Express has a sporty, clean look to it, but is completely absent of some of the traditional express cruiser styling cues that can turn people off, such as exaggerated reverse sheer or high side decks and cabin sides. With these conservative good looks, the 38 Express will appeal to folks who want a more subdued vibe from an express cruiser. Hull-wise, there’s deep-V bow and plenty of transom deadrise (19 degrees) for when the weather turns dicey, and a good amount of bow flare keeps things dry. The aft end of the 38 Express is entirely dedicated to sun worship and fun in the water. An expansive swim platform has plenty of room for a few people to dip their feet into the water, and also has enough space to facilitate the loading and offloading of water toys such as stand up paddleboards, small kayaks, or tubes and floats. You’ll appreciate it for dinghy and water taxi drills, too. 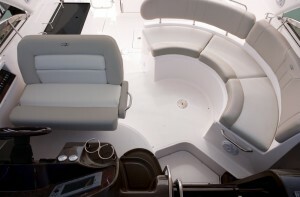 The bridge deck on the Regal 38 Express features plenty of seating for both captain and crew. There’s an aft-facing stowage locker with gas assist struts on the transom, and there’s also separate access lid that opens to the shore power outlets. It’s nice to see these tucked away and covered. A single step up through a stern walkthrough with door gives access to good-sized aft deck where you’ll find lots of stowage lockers and port and starboard steps that lead up to the side decks. Last, but not least, is a well-equipped wet bar area where there’s even enough room for an optional built-in grill and mini fridge. One more step up from the aft deck lands you on the bridge deck, where there’s a C-shaped lounge to port that’s located in such a way that the captain isn't left out of the conversation while he or she is sitting at the starboard side helm. 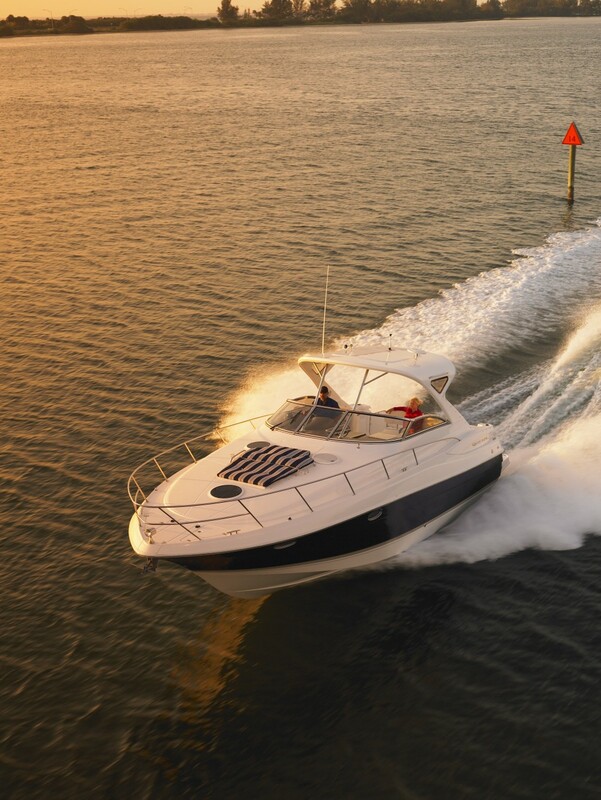 Nicely appointed with double bench seating, the helm is punctuated by an expansive dash with plenty of room for engine displays and gauges, a multi-function display, VHF radio, and more. There are also faux wood accents on the dash, which I wish Regal would have either done a better job with (the fasteners that hold the panels in are clearly visible), or just left off. To port of the helm is a set of molded-in steps that lead up through a windshield walkthrough that gives access to the foredeck, side decks, and anchoring platform. 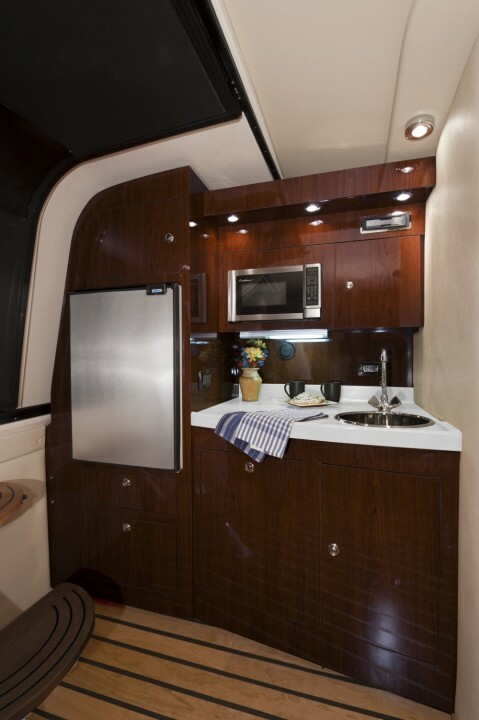 There's plenty of great stowage and appliances in the 38 Express galley, but you might find yourself wanting more counter space. Just to port of those steps is a sliding companionway door with access to the interior. Down those steps to port is the galley. There’s plenty of galley stowage behind lots of cleverly designed and rich-looking cabinets and drawers, and it’s nice how Regal situated the integral refrigerator/freezer at shoulder level for easy loading and unloading. There’s a two-burner electric cooktop just to the left of a deep, single-basin sink with a microwave above. And thank you, Regal, for putting a beefy sea rail on the countertop to keep things from sliding right off. As with most express cruisers in this size range, you’re likely not going to be cooking Thanksgiving dinner on this boat. That’s further exacerbated on the 38 Express when you want to cook something on the electric cook top. That’s because that cook top is situated under a removable cover that is essentially the only level area for preparing food in the galley. It’s not a big deal, honestly, but something worth noting if you like to cook meals from scratch aboard. Many other boats in this class and size have more space for cooking activities. 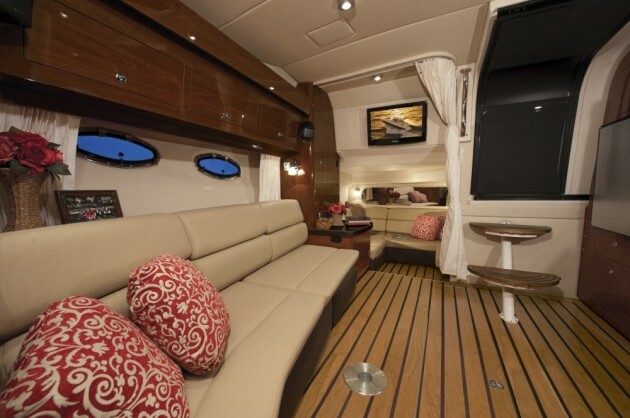 The main saloon is appointed with more rich-looking cabinetry and softened with the copious use of leather, primarily on a large, three-person lounge to starboard. It’s a comfortable space, and a sizeable cherry-veneered, pop-in table further expands the lounge into a dining space. There are pop-out footrests under the berth for stretching out and another pop-up panel converts the bench into a double berth. There's plenty of room down below on the 38 Express. The pictured starboard bench converts into a double berth easily, as does a C-shaped lounge located farther aft underneath the television. Aft of the main saloon and down a step is the “mid cabin,” as Regal calls it, but it’s more of an aft saloon, if you ask me. There’s a C-shaped, leather-upholstered lounge back there that can be converted into a large berth, but standing headroom is minimal. It feels like a great place for a group to hang out and play cards or just relax during bad weather, but not for extended periods of time. I expect many couples will use it for extra stowage when guests or family aren't aboard. Situated in the bow of the 38 Express is the master stateroom, which features a queen berth angled off to port. You’ll find stowage underneath the berth and there’s a hanging locker to starboard against the bulkhead. But there’s not a ton of stowage space up here, much less room to stand and dress, if you have guests aboard and have the sliding pocket door closed. There is an upholstered bench here to help with those dressing activities, however. The enclosed head/shower area is located just aft of the entry to the master stateroom and is above average in terms of size for this length boat. There’s a mirrored medicine cabinet with sliding doors, large basin with mixer, and an acrylic panel separates the combo head/shower stall from the rest of the area, keeping things a little drier. There’s not only an opening port in the galley, but circular opening hatch that’s been made opaque for privacy. Regal has done a great job in improving and updating the 3760 Commodore, which was a fine boat by all accounts. 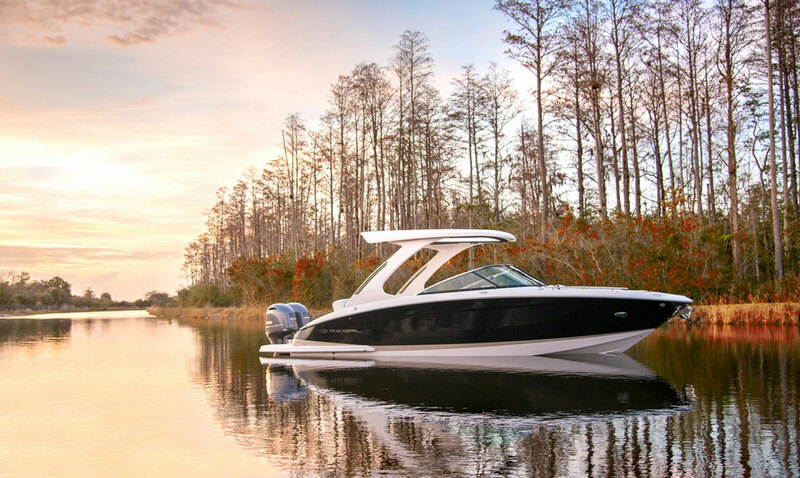 You’ll still find Regal’s stunning attention to details, clever layout, great performance, and sleek, but tasteful design in the 38 Express, but by adding a modern electronic diesel option with joystick controls Regal has taken this boat to a whole new level. 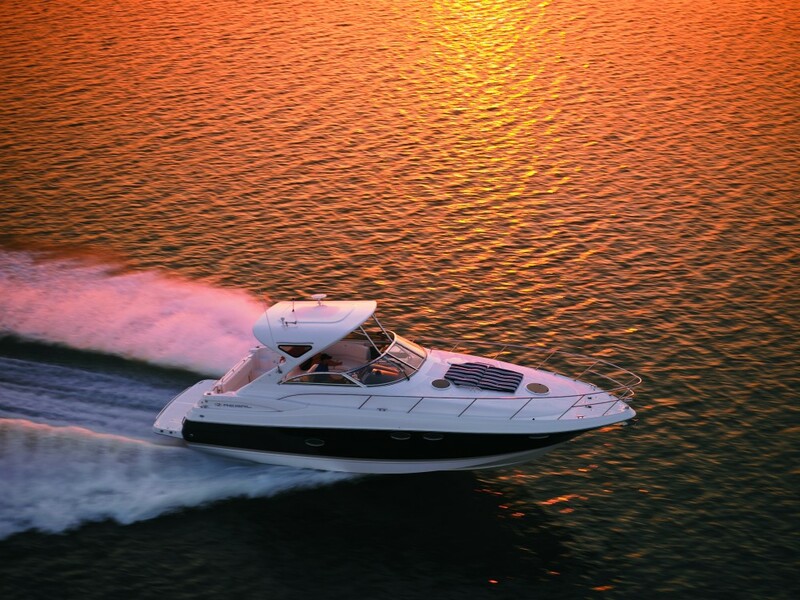 Other Choices: For other express boats in this size range, check out the Sea Ray 370 Venture or Tiara 3900 Coronet. Looking for some Downeast good looks in your express cruiser? Try the Sabre 38 Salon Express on for size. 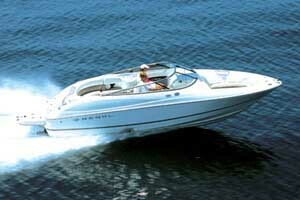 But if the Regal 38 Express tickles your fancy just right, have a look at our listings for new and used ones. For more information, visit Regal.